Love is a beautiful thing indeed... This cute couple has made headlines after their beautiful wedding photos emerged. 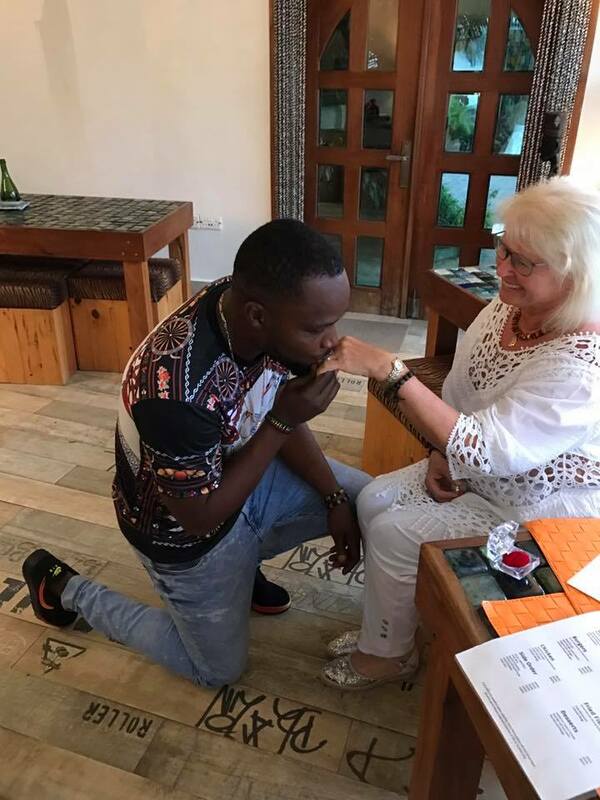 The Nigerian man and his older lover have won the hearts of many including me. According to reports, the marriage held in Delta State recently. 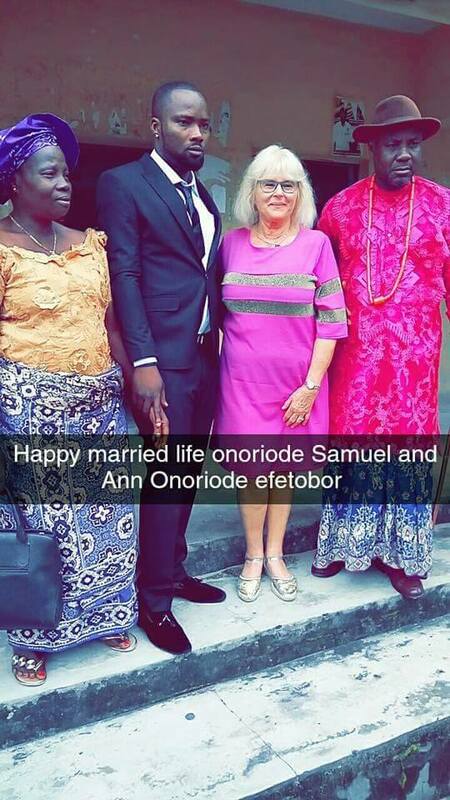 The man, Onoriode Samuel and his beautiful wife Anna Maria tied the knot in a low key wedding which had the grooms parents in attendance. 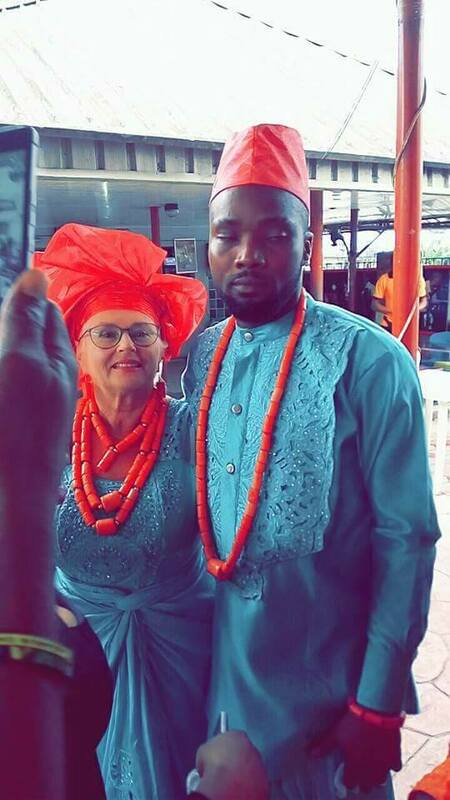 Photos show the Samuels looking radiant in a traditional attire on their wedding. We also get to see when Samuel kneeled to pop the question. I know some enemies of progress will be out there saying it is for green card but who knows, it could real love.